For your child's next birthday hire one of these party buses that are just for kids! They can come right to your location so you don't have to worry about travel, setup or clean up - it's the perfect party! If you're looking for even more party buses in NY, visit KidsParties.Party. A Fun-Filled Party On Wheels In New York! Celebrate your child's birthday and plan a bus party for the celebration. 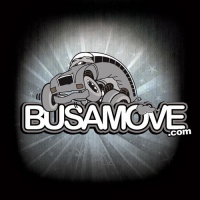 Rent a party bus from Busamove and let them provide all the fun and entertainment for the occasion. The bus is complete with a state-of-the-art sound system and equipped with fun party entertainment and activities. Book your reservations and have Busamove make your kid's party a fun and unique experience for everyone to enjoy. A Fun Bus In New York! Have a spectacular celebration for your child's birthday. Rent a party bus from Fun Bus. You will be sure to be amazed by their wonderful state-of-the-art party bus complete with all the party needs to make your kid's party a blast. Fun Bus dedicates themselves to provide a wonderful party experience for your kids where they can enjoy and have a great time. 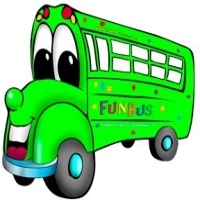 Contact Fun Bus and book your reservations. Visit their website for more details and for your reservations. A Unique Party Experience For Your Kid's Birthday! Have a bus party for your kid's birthday celebration here in New York. 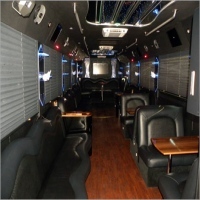 Rent a party bus from New York Party Bus and you will be sure that the celebration is a success and that everyone will enjoy and have a great time. With their state-of-the-art party bus, New York Party Bus will make sure that the celebration is a spectacular event where kids can surely enjoy. Let New York Party Bus make your children's party special and rent a party bus from them. Book your reservations and contact them through their website or by phone. Exciting Bus Party In New York! Have Party Bus New York provide a fun and amazing party bus for your kid's birthday party celebration. They will make sure that the event will be a memorable and a fun-filled event where kids can enjoy. Their party bus is equipped with all the party essentials and a state-of-the-art sound system that can make a celebration truly spectacular. Plan that wonderful event for your kid's birthday and have Party Bus New York provide an amazing party bus. An Exceptional Bus Party Here In New York! Have a bus party for your kid's birthday party and let MyNyc Partybus make that celebration possible. 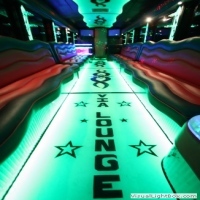 Rent a party bus from MyNyc Partybus. 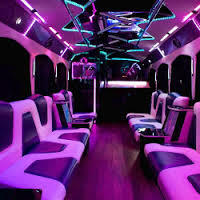 They will provide to you nothing but the best party bus for your celebration. Their buses are equipped with all the party essentials and an amazing sound system. Your party will surely be a blast. Book your reservations and rent a party bus from MyNyc Partybus. You will surely enjoy a wonderful celebration inside the bus. Dazzling Bus Party Here In New York! Have a spectacular bus party for your kid's birthday, rent a party bus from Go Nyc Party Bus and make your celebration a fun filled event where everyone can have a great time. Go Nyc Party Bus guarantees that the celebration inside the bus is a safe and fun experience for kids and adults alike, equipped with state-of the-art sound systems and lighting. You will surely enjoy a great celebration inside the bus. 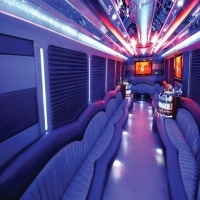 So have a spectacular party inside a bus and contact Go Nyc Party Bus for your reservations. Visit their website for inquiries and for reservations. A Great Party With Showtime NYC Party Bus! Rent a party bus from Showtime NYC Party Bus and celebrate a wonderful occasion where you can enjoy and have a great time. Showtime NYC Party Bus is equipped with an excellent sound system, luxury rest room, excellent lighting and all the party essentials you need to have a great party. Contact Showtime NYC Party Bus and plan your party inside a bus. You will definitely enjoy a wonderful celebration. Luxurious Celebration Here In New York! Celebrate a momentous occasion and make it a fun and unique celebration. Have a bus party here in New York and rent a party bus from DoubleDiamond Party Bus, You will be sure to have a great time celebrating with your friends or loved ones. Whether it is a birthday, graduation party or a bar/bat mitzvah party, DoubleDiamond Party Bus can make the celebration a spectacular event. Rent a party bus from DoubleDiamond Party Bus and have yourself a memorable experience where you can enjoy a memorable occasion. First Class Celebration Here In New York! Celebrate your kid's birthday or any other celebration here in New York and plan a spectacular bus party for your kids. They can invite their closest friends over and have themselves a wonderful celebration where they can have a great time. Have a bus party here in New York and contact New York Limo. They will guarantee to you that your bus party will be a pleasurable experience. It's Always A Party With Party Bus NYC! Celebrate a great celebration with Party Bus NYC and plan your kid's party with Party Bus NYC. With their state-of-the-art party bus you will be sure that your kids can enjoy their celebration and have a great time. 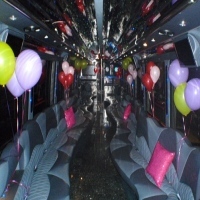 Whether it is a birthday party or a graduation party, Party Bus NYC can make the event special. Plan a bus party and book your reservations today. Visit the website for more information and for inquiries.